Few experiences compare to the wonder of spotting a bald eagle in flight. 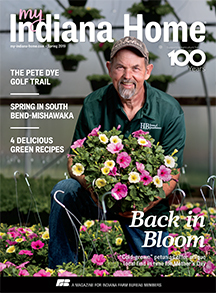 Thanks to Indiana’s bald eagle reintroduction program in the 1980s, there are lots of opportunities to see the once-endangered birds in the Hoosier State today. 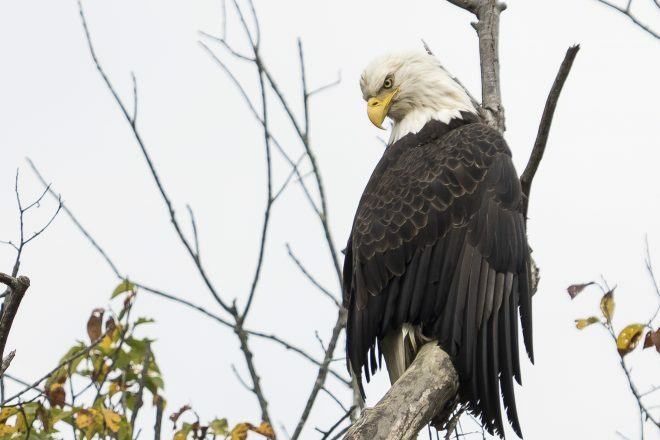 Lake Monroe near Bloomington is one of the top locations in the state to see the majestic bald eagle, with around 300 documented species of birds in the region as well as year-round resident pairs of bald eagles. 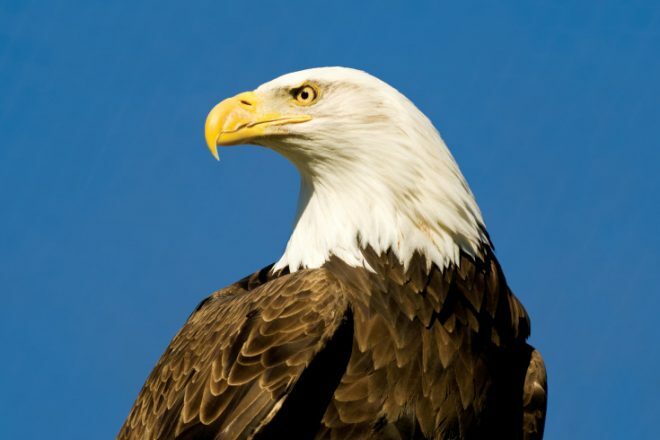 By the early 1990s, bald eagles had been completely gone from Indiana for nearly 100 years due to loss of habitat. The last native eaglet documented to have hatched in Indiana was in 1897. Then, in 1991, the first eaglet was produced as part of Indiana’s bald eagle reintroduction program. That program ran from 1985 through 1989, when eagles were brought to Lake Monroe’s “hack tower” from Alaska and Wisconsin in an effort to rebuild Indiana’s eagle population. “Hacking” refers to the process of taking eaglets from their birthplace before they learn to fly and releasing them in a new area, as eagles tend to consider the first place they fly to be home. 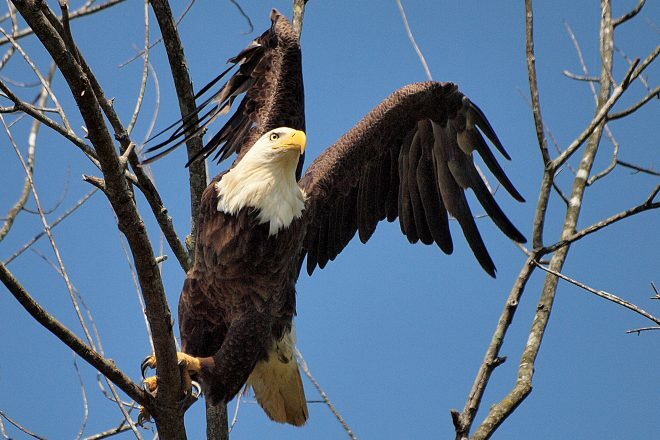 Find five more places across Indiana where you can witness bald eagles. In early spring, as soon as the ice thaws, a flush of birds comes back to feed on frozen dead fish that float to the lake’s surface. November and December can also be good times to spot the eagles, Watters says, though it helps to have a boat for easier viewing. Jeff Danielson lives on the northern edge of Lake Monroe and has been photographing the birds of prey for eight years. Danielson says Canadian eagles over-winter in places like Indiana, and that, coupled with the lack of leaf cover, makes winter the prime viewing season from land or boat. “In late spring and summer, though, the parents are more active hunting and fishing to feed their young,” he says. When looking for eagles, Danielson seeks out shallow areas where large fish are easily spotted and caught. 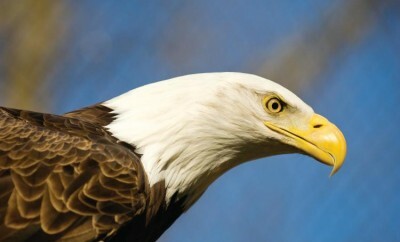 In late January, Lake Monroe hosts its annual Eagle Watch Weekend at Fourwinds Resort and Marina. For details, visit eaglesatlakemonroe.com. They fly the St Joseph River in northern Indiana. Best time to see them is the fall and especially the winter when the local lakes freeze over. They then fish the river! At least a dozen male and female Bald Eagles 1/4 mile down river of Mississinewa Dam near Peru, Indiana . No nests, all fishing. Take binoculars. Saw a beautiful one soaring at 37 and Eller today. Carrying food but I couldn’t tell what he had. Gorgeous and so majestic. Truly amazed and do blessed to see. just saw one the other day while driving from columbus to bloomington. was a bit surprised, but now see why he was there – guess the reintroduction program worked. My wife and I saw an eagle at Thompson Rd. and Gem Rd. south of New Palestine Sunday 4/8/2018. Saw one at the end of April sitting on top of a very tall utility pole in Evansville about 3 to 4 miles from the Ohio River it was unbelievable. Watched for a long time ten it flew southwest. 2 days later one flew over head heading southwest. What an amazing thing to see. I saw a bald eagle on Hudson Lake in LaPorte County while fishing on 8-18-18. First one I’ve ever seen on this lake. First I didnt know that u could report where u seen an eagle before I stumbled on to this page. But August 4, 2018, I seen one in a tree by my step dads house right on US 31in Pleasant View addition in Edinburgh Ind. I seen it land then ran out with my phone and video it untill it flew off. What a BEAUTIFUL sight seeing him land in that tree and take back off. Especially in an Addition. An eagle flew over my car today as I was driving on IN58 just south of Ogilville. It was not terribly high up and just soared in front of me. First time I’ve seen an eagle in the wild. I saw three flying together on Cartersburg Rd in Danville. They really are beautiful and couldn’t help but to stop what I was doing to watch them! My husband and I were fishing on Morse Reservoir today and a full grown adult flew right over head. It was beautiful!!! So excited to see him so close. A pair lives along Eagle Creek (actual creek not reservoir) behind Alison Transmission near 10th Street in Indianapolis. There was a dead tree that they would sit in but that tree blew down in a recent storm. Just seen one on 200 North in Farmland Indiana. Was a Beautiful bird. Saw 4bald eagles 3in a corn field and1up in a tree along side….135s brown co..thought it unusual,all4 together. Saw one bald eagle near large in Morgan County indiana. We’ve caugh pictures of 6 different one in on e day and one was still young enough not to had its prominent white head. One flew over our house and yard this morning! Leonard Springs Rd near Fullerton exit. It was gorgeous – white head and tail. 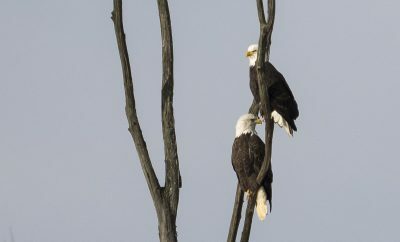 We saw two eagles today in Yorkville Indiana, Dearborn County. Saw a bald eagle earlier this morning sitting in a tree on Route 1 in Dearborn county about 2 miles south of Dover. There is one east of Cambridge City. Seen it several times flying over I70. April 24 2019 we saw a bald Eagle on 421 at the Decatur/Ripley county line. Beautiful site to se. I’ve sent a couple others over on 229 just east of Napoleon. Great thing to see.